Here's a quick last minute Mother's day gift perfect for any Mom or Grandma!! Supplies - all bought at my local dollar store! (1) dollar store vase of your choice!.. Yes, I said Dollar store! 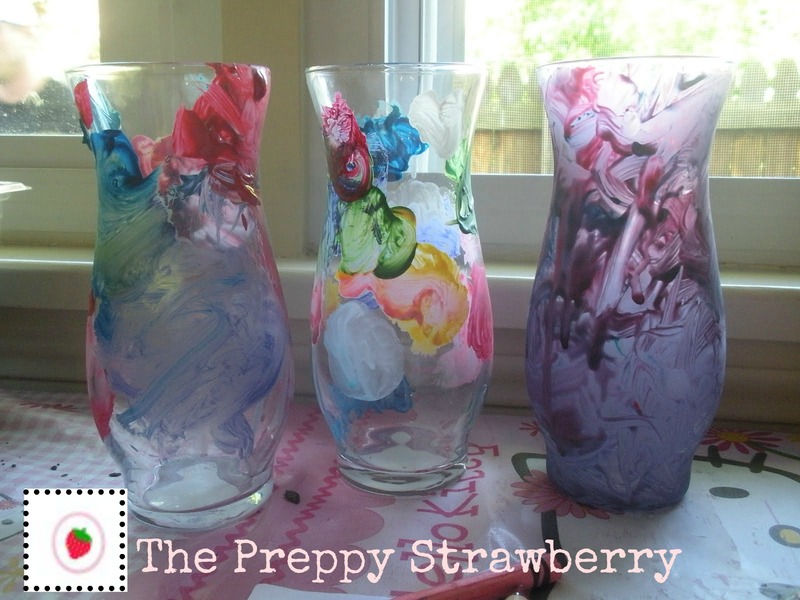 Have your child paint the vase however they want! There is no right way to this! Notice both times I tried to get her working she was playing in the paint water! use the other half to cut your leaves out. You will want to adjust your leaves according to your child's hand size. cut out your leaves and staple the leaves around the hand. Ta Da! You have a flower hand of your child that will last forever and in vase that they painted! If you try this let me know! I would love to see pictures!! 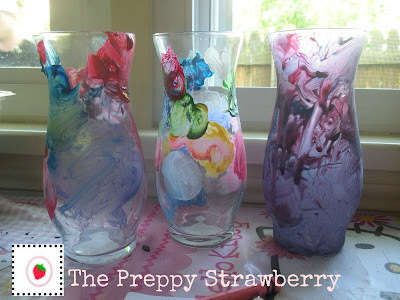 I love the painted vases idea - very easy and very cute! Thank you for dropping by my site www..fatnutritionwriter.com. I am following you back! Love the vases. We might have to do this next year! Following you back from MBC! Love the painted vases! My kids will love doing this. Thank you!